Following the revelations in yesterday's P&J that the Tories’ much heralded Oil and Gas Ambassador role remains vacant 19 months after it was announced by former Prime Minister David Cameron the SNP is demanding the UK government finally comes clean. 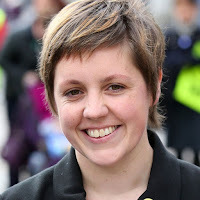 The SNP’s Kirsty Blackman has called on the UK government to get on with the appointment of an oil and gas ambassador as a matter of urgency, now that they have been exposed for their inaction. Otherwise the Tories must come clean, admit that the plan has been ditched and apologise to oil and gas businesses which have faced challenges through the global downturn and to those who have lost their jobs. Furthermore, the Tories promised that the Ambassador would “ensure the best possible access for UK companies to markets overseas, promote the North Sea around the world and boost inward investment”. Mrs Blackman has challenged the UK government to outline how they will make up for the loss that businesses have suffered as a result of 19 months of idling – and whether it will take steps to compensate the sector in light of these broken promises. “Now the UK government has had a grudging admission dragged out of them it’s time they were completely transparent on what became of their proposed Oil and Gas Ambassador. Was the initiative simply forgotten about or was it actively ditched and they tried to hide it from the public? There is an overwhelming public interest in getting the full picture. “But what the Tory government chooses to do next is the litmus test when it comes to how much they actually care about the oil and gas industry. Will they now appoint an oil and gas ambassador as a matter of urgency, and put them to work in helping to revive the North Sea and our economy? “Or are they planning to ditch the proposal altogether, in which case they owe businesses and former oil workers a solemn apology? “By now a well-established Oil and Gas Ambassador should have had 19 months to help leverage investment into the North Sea, promote this vital sector on the global stage and widen access to global markets for Scottish firms.